"We felt like we found someone who really understood Docker"
The world’s largest collection of free family trees, genealogy records and resources. 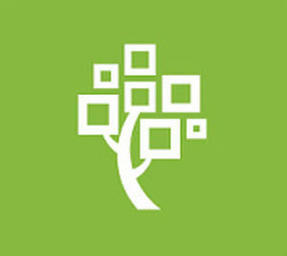 FamilySearch allows users to preserve and share precious family memories. Users are able to bring their family history to life by being able to search for their ancestors in millions of historical records, discover their place in history with a Family Tree feature, and upload/share memories as well as recipes and photos. It provides people an easy way to preserve their genealogy online as well as see what others have contributed, and share their own family stories. Some records span back as far as 1000 years! They are a non-profit, and help many people connect to their past with the help of many contributors. FamilySearch was searching for “how to do Docker right”. As a company, they had embraced Docker in its earliest forms when it first became popular. The organization started to look at Docker as a much more efficient VM, and were using traditional data center strategies for orchestration. Their web apps were being deployed in a cloud solution that was separated logically from the rest of their microservices, which was painful and added latency. FamilySearch wanted something container-like that was on their own private network. They knew they needed a Docker-based solution that would allow them to easily build, test, and deploy their application. “We found that with the Codefresh workflow/pipeline we didn’t need a Dockerfile”, says Judd Flamm, Web Architect of FamilySearch, “We felt like we found someone who really understood Docker. This a was a huge indicator for us”. When it comes to favorite features, FamilySearch is a fan of Codefresh’s ability to make remote command line calls, as well as our 24/7 customer support. For FamilySearch, on-boarding was quick and seamless. “Your live chat is a live saver! We were able to try out and learn about Codefresh quickly and easily”. With it’s around the clock support- Codefresh is always there to help, no matter the time of day. With Codefresh, FamilySearch was able to go from 20 minute builds to 30 second-1 minute builds. Some of this came from rewriting their Docker files with a more modern approach, as well as other additional optimizations. “The rest came from Codefresh being fast and easy to use” says Flamm, “You guys are professionals at it”. We’ve seen many companies significantly cut down the time of their builds thanks to Codefresh’s Docker-native caching capabilities. Create your free account today, and see how much faster you could be building today!